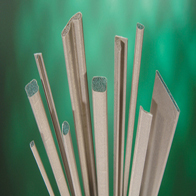 Silicone rubber with vertical embedded wires. Provide a waterproof sealing and EMC protection - and eliminates corrossion considerations in design. Should not be used as door gasket or other applications opening and closing many times. Supplied as rectangular strips and sheets, die cut parts. Woven conductive cloth over Thermo Plastic Elastomer Sponge. A very soft EMC gasket providing dust and spraywater protection, excellent shielding, good and corrossion resistance. Supplied as profiles and sheets, die cut parts. Conductive filled Silicone. Different Conductive fillers available. Offer waterproof EMC seal and excellent shielding. Avalialble in numerous sizes and shapes. Material supllied as extrusions, sheets, die cut and moulded parts. Beryllium Copper strips. 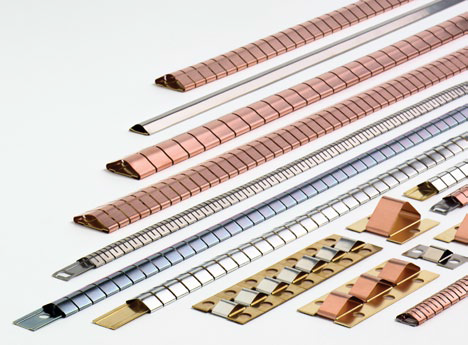 Various sizes and designs makes it possible to find a contact strip that matches most applications. Easy to install, easy to use. Good as EMC gasket in boxes that are frequently opened and closed. 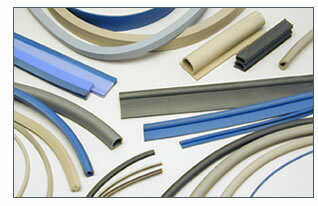 Different EMC Meshes or conductive coatings combined with windows made of Acryllic, Polycarbonate or Glass. Various designs to meet almost any application .Supllied as complete windows or in any part heroft even to the woven Mesh itself. Aluminium Honeycomb ventillation panels. Various thicknesses and designs. Usually filters are yellow cromated but other surface treatments available. Supplied at ready to assemble components or as raw cut to size honeycomb. A wide range of ferrites covering a vast number of applications and performances. Common mode and differential mode EMC ferrites for Printed Circuit Boards, Cores for Round and Flat cable covering both Low, Standard and High Frequency versions. Split cores for easy assembly or testing and many more. Thermo Conductive sheets and compounds to be used as Thermal interfaces. Whenever you need to get the heat going we have a material for you. And we can die cut it for you as well. We have our own workshop where we die cut all kinds of thinner sheet materials e.g. 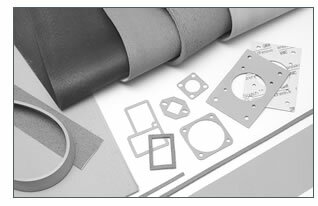 conductive elastomers, Thermo Conductive Elastomers, Thermal Barriers, Insulators, Filter papers, Nomex, Nitril, Lexan, Copper tape, Krempel Trivoltherm, Teflon, Mylar and many more. We also offer PC Card Cage Shields, EMC Attenuating Meshes to be used over displays microphones, loudspeakers and other openings in your cabinets. 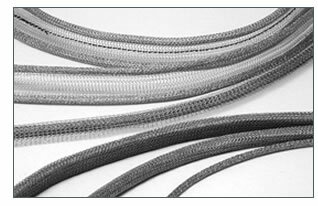 Apart from that we have made custom designed Contact Strips, Vent Panels, EMC Shielding Cans and many many more. So if you have an inquiry for a product you cannont find as standard part do not hesitate to contact us to see if we can help.